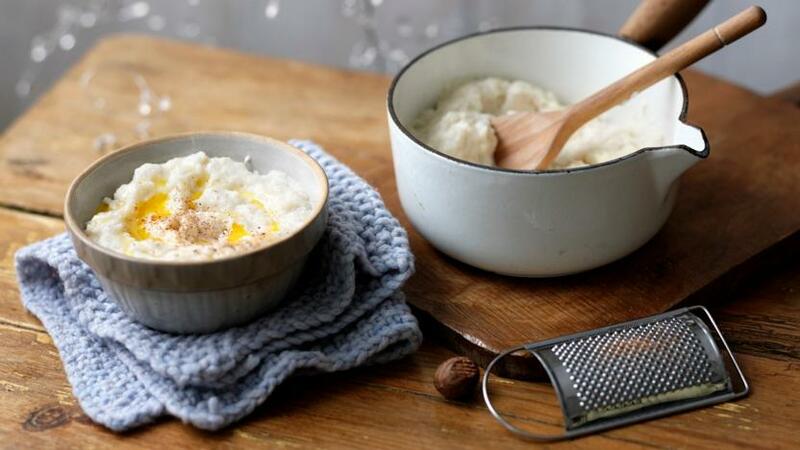 This crowd-pleasing bread sauce recipe by Nigella Lawson is an easy extra for Christmas Day and is just as good served cold with leftovers. The recipe appears in Nigella's book Feast, published by Chatto & Windus. Remove the crust from the bread and tear the stripped loaf into a mound of rough chunks or cubes about 2cm/¾in in size. You should end up with 175-200g (6¼-7¼oz) of cubes. If the bread is not slightly stale already, leave the pieces out on a wire rack to dry out. Add the cream (if using). Grate over quite a bit of nutmeg, adding more once you have poured the bread sauce into a warmed bowl or gravy boat.